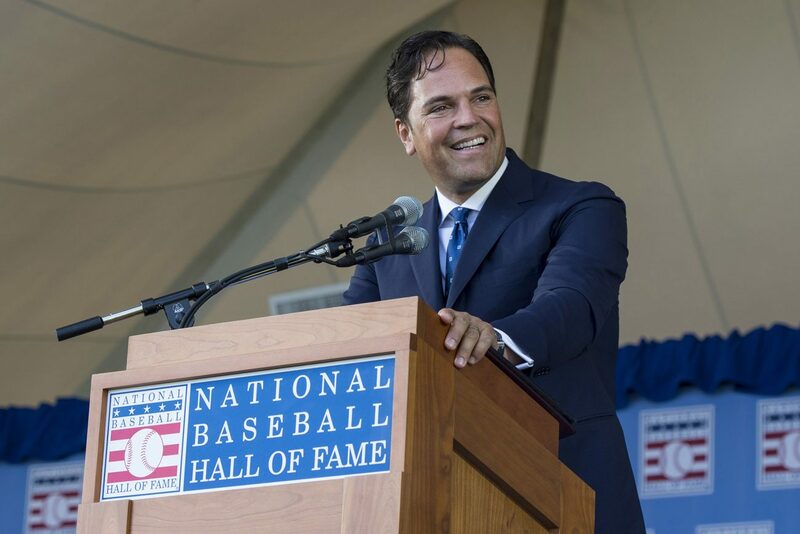 COOPERSTOWN, N.Y. (CNS) — Mike Piazza, the superstar catcher inducted July 24 into the National Baseball Hall of Fame, gave credit to his Catholic faith for his success during his induction speech. “My mother gave me the greatest gift a mother can give a child. She gave me the gift of my Catholic faith. This has had a profound impact on my career and it has given me patience, compassion and hope,” Piazza said. He hit .308 over his career with 427 home runs — including 396 as a catcher, the most all time by a catcher. Piazza cemented his status as a hero to Mets fans Sept. 21, 2001 — the first Mets home game following the 9/11 terror attacks — when he hit a go-ahead home run in the eighth inning to put the Mets up 3-2 over the Atlanta Braves and ensure a win for the home team. Piazza referenced his roots in the Philadelphia area when he told the thousands in attendance at the induction ceremenoy, “My love affair with baseball started in a small steel town, about a four-hour drive south of here named Phoenixville, Pa.
Piazza was generous in thanking many people in and out of baseball in his 4,000-word speech, which took 28 minutes to read, because he was interrupted frequently by applause. “One of the most amazing things about the Hall of Fame is that no one goes in here alone. We all have had many people helping us, inspiring us, coaching us and yes, sometimes kicking us in the rear. And now it is my tremendous honor and privilege to thank those who have done this for me,” Piazza said. He thanked the Hall of Famers on the stage behind him including Philadelphia Phillies third baseman Mike Schmidt and Los Angeles Dodgers manager Tommy Lasorda, who is also Piazza’s uncle. “You all have given us great joy and inspiration. The only way I ever thought I would be here with you is if I bought a ticket,” Piazza said. “I have been devoted to this great game of baseball and it is a worthy cause. We players share our love of baseball with millions of fans. That love bridges generations, impacts lives and helps heal wounds,” Piazza said. 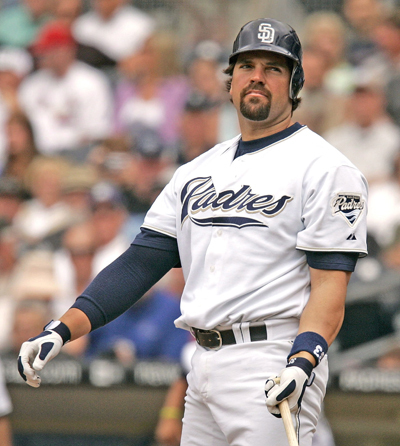 Piazza was drafted by the Dodgers in the 62nd round of the 1988 draft — the latest draftee ever to be enshrined in Cooperstown, and a record he is likely to hold for a long time. Today, the draft goes for only 40 rounds. Major League Baseball estimated there were 50,000 on hand for the induction ceremony, second only to the 2007 induction of Cal Ripken Jr. and the late Tony Gwynn. Inducted with Piazza was Ken Griffey Jr., the son of 19-year major-league veteran Ken Griffey, who went to Archbishop Moeller High School in Cincinnati. Griffey Jr.’s infectious smile and his habit of wearing his baseball cap backward only masked his incredible talent in a 22-year career that saw him regularly run up the outfield wall at the old Kingdome in Seattle to snare long fly balls. Griffey Jr. hit 630 home runs — including one while playing with his father, who likewise homered, as a teammate — and drove in 1,836 runs playing for the Seattle Mariners, Cincinnati Reds and Chicago White Sox. Read the induction speeches by Piazza and Griffey Jr. here.